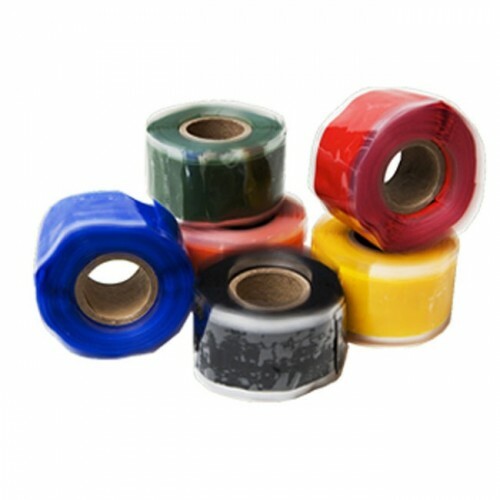 Rescue tape. The original Self fusing Silicon tape. 1" X 3.6M roll. Available in red, balck or clear. 950PSI tensile strenghth. Resists 260deg c. Insulates up to 8000V. resistant to fuels, solvents, acids, salt water, road salt and Uv rays.